Weekly to-do lists, project ideas & notes. Well, 2013 is finally here! I’ve been waiting on this for some time now, because I’ve had this amazing project just waiting to be shared!! Gosh, I hope you like it. I’m so giddy and excited to show you! So, as some of you know I’m a Graphic Designer by day. Now, Graphic Designers get a reputation for being Mac geeks, tea drinkers, free-living artists and typography & paper nazis. Well, I am none of those things… except the last one. You see, I am extremely picky about my paper products. I trim down my post-its so they fit in my notebook. I hand make my sketchbooks, and I always buy a specific brand of planner. Until this year, when my brand didn’t have a single pretty planner that I liked! I even bought one thinking I would get used to it… and then I just couldn’t. So what did I do? What any self-respecting designer would do. I made my own. And I made it for blogging. At first, I scoured the net for something I could just download. The trouble is, while there are a lot of really nice blogging planners out there, most of them require you to fill in the dates of the month. Do you think that I – who couldn’t handle the color scheme of this year’s planner – could live with my own handwritten dates? Oh no. Also, a lot of these planners were meant to be put into binders. I’m not a big fan of binders, as they feel very corporate. Plus, I’m a bindery nerd so I wanted something with a lay-flat flip binding. So I made it from scratch. That’s right, you’re looking at 365 days, all numbered with holidays highlighted in coordinating colors. 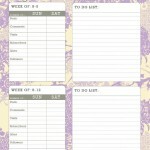 Its got a blog tracking/planning/to-do page for each week, as well as room to store all of your personal information. 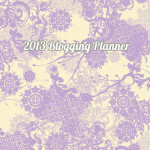 Its a clean, polished, professional planner for blogging. There are two versions, one with just the blogging pages and month views, and one with bonus notes pages for each week. I needed that because I use my planner to take meeting notes. 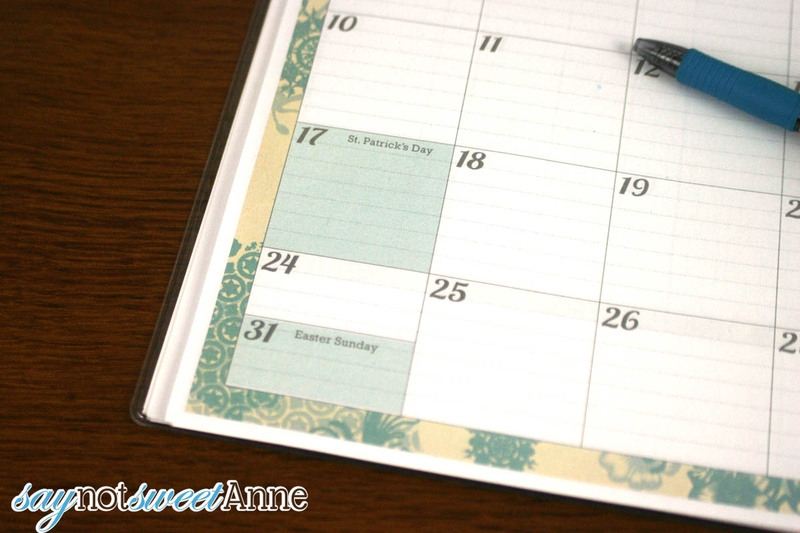 Highlighted holidays AND split days for the longer months! This download is available in a bunch of colors, and it is SO EASY to put together! It cost me a grand total of $2 to get it punched and bound. You can download any of the files you want, and print as many as you would like! Note that these are NOT for commercial use or distribution, and that I maintain copyright for all of my creative work. Now that 2013 is over, the downloadable planner has been replaced with the 2014 Modular Printable Planner. Avery 16281 Multi Colored printable tabs. They come with a bunch of colors, I just used the teal. Download the file you want. Print the file double sided on a nice paper. The cheapo copy stuff will work, but you might see through a bit. There’s nothing special about it- its just like printing a double sided presentation booklet! Take the whole kit and kaboodle to a copy shop. (I went to Staples.) If you like, punch it and put it in a binder and skip to step 6. If you can’t get Wire-O or Twin Loop, ask for spiral. Whatever you do, don’t get Comb Binding. Print your months onto some Avery tabs using Lobster as the font. The tabs even come with a handy spacing guide to make sure you place your tabs evenly. All in all this took me about 5 minutes. Done!! Get to tracking, planning and to-doing! I love the blog tracking section. Each week there is space to track your progress, make to-do lists, jot down ideas and write notes! I used Avery printable tabs to make the monthly tabs. They come in all sorts of colors! I absolutely love this section. Each week I track my stats, make plans, cross things off my list. Its a huge burden off my shoulders! At the end of the year, I’m always at a loss for how to mind myself of things before I get my new planner. This way, I’ve got a space to keep long term items. ← 2 Pick Tuesday! 2012 Round Up! Thanks for sharing! This is awesome. I saw you talk about this on Online BlogCon but I didn’t get a chance to look until now! You are awesome for providing this! Have a great year, Kayla! Thank you so much,this is great! Thank you so much! This is awesome! I am a new blogger, this will help me tremendously! Happy New Year! Thanks so much for sharing this. How cool awesome and totally helpful! And the simple fact that you are sharing it for free when many people would sell this for a decent amount just makes you the most awesomest (is that a word?) blogger ever! Ha ha ha! can I get a pin that says “Awesomest Blogger Ever?” I would totally wear that! Shannon @ Searching For Dessert recently posted..Does butter really make everything better? 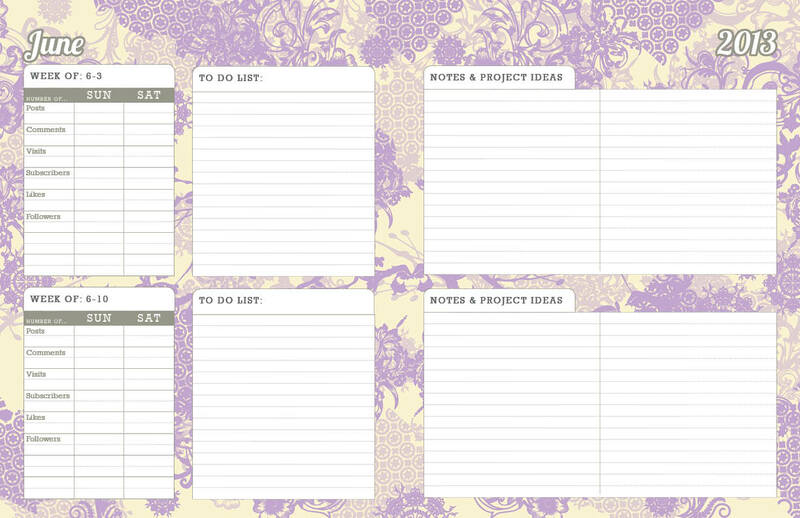 What better way to stay organized in 2013! This is wonderful. Thank you for sharing with us on Online BlogCON ..!!! Such a useful tool for bloggers! I absolutely love this! Thank you so much! Question – do you know if I can get it printed at Staples too? I don’t think it’s realistic for me to print all of these pages at home. Carla, You’ll have to call around for color printing pricing. My local Staples charges $.98 a SHEET to print color on two sides. Thats outrageous! Although, I know a couple of local copy shops that are much cheaper. Maybe you area does too? I ended up at Office Max. Including tax, it was $17 for double sided black and white printing with coil binding. I’m good without color. Thanks again! I’m trying to spread the word as much as I can to your site. That’s not a bad price- but I still can’t believe what they charge just to use a laser printer!! You are so nice to share this with everyone! I love it and I’m definitely going to have it printed. This is such a great thing that you’ve done here! The tracking and ideas sections are great! This will be a great way for me to follow trends and maybe keep myself on track. Thanks so much!!! You are SO welcome!! I totally need the tracking. I like to see if posting more equals more likes or viewership. I hope it helps you! How lovely!! You’ve outdone yourself on this – it’s beautiful!! This is brlliant! Thanks a lot for sharing it. This is such a great printable. Thank you so much for sharing it! SUPER cute! I just shared on FB for all my “bloggy” friends. Thank you!!! Dawn @ peelingbacktheonionlayers.com recently posted..Are You Ready to Go Gluten Free? Thanks for sharing! Glad you like it!! Thank you for sharing this! I’m from Online BlogCon and I desperately need a blog planner to get organized. You are so sweet to offer this for free. I’ll be sharing on my FB page! You are SO WELCOME! I’m glad you like it, and I’m happy to help!! Hi Kayla and Happy New Year! 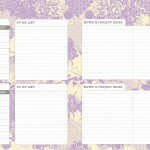 I absolutely adore your blogging planner. Thanks so much for sharing it with us. You are AWESOME for sharing this with us! A very genuine THANK YOU from CrochetHappy~! I don’t have a very good printer at home and would also have to take it to Staples to get it printed… How would one “take” this to Staples? Would I put it on a thumb drive and then have them print it? Thank you for your help, and this amazing planner! 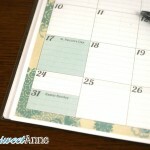 I really like the looks of your planner and wanted to print it but have encountered difficulty. Do you have to have a laser printer to print this? I can download it and then the printer (has an ink cartridge) goes through the motions of printing but the paper comes through blank. I have tried both the black and white version and a colored one with the same result. Thanks. Dawn. that is really, really strange. The type of printer shouldn’t make a difference, and no one else has had this trouble that I know of. When you say it goes through the motions- does it spit out 80 or so blank pages? Or does it try to print one and nothing happens? Where are you printing it from? Your browser, or a PDF reader like Adobe? Did you save the file to you computer before trying to print it? Let me know, and maybe we can figure it out!! Absolutely amazing and comprehensive, I have anothoer planner that is only about 12 pages thick and this is just wayyyyy bigger and has every detail that you can think of! So excited to print this off and add it to my blogging planner. Thanks so much for creating and sharing this lovely planner! I don’t have a blog yet, but I’m hoping to start one up soon, and your planner will be a great way for me to stay organized from the get go! This is such a good idea! Would you mind if I posted a link to this on my business Facebook page? Please feel free to check out my website and social media before answering…but I would live to share! 🙂 great work! I’m so glad you like it! Feel free to share the link via your social media- but unfortunately I can’t sanction sharing it on your website adjacent to paid services. Thanks for your interest!! Love, love love this! Thank you so much! I never seem to find one I like either, but yours might just be The One. =) Thanks for sharing! So pretty and so organized! Thanks so much for sharing it with your fans! This is perfect Kayla, exactly what I needed as I get my blog started. Thanks for sharing it!! I appreciate the effort and offer, but realistically, the cost in ink to print all these pages at home OR pay a copy shop and then for the binding, binder, tabs, etc…it’s a pretty pricey project. Also, you are sending people to FB not for ‘piracy’ or ‘security’ reasons but to get more fb fans! I have to like your page in order to even look at it! Thanks but no thanks. I’ll buy a binder and make do. I totally hear you on the cost to print at a copy shop, some of them are crazy! I’ve got a locally owned place here who would print the largest of the notebooks, color on two sides for $15, and then Twin Loop binding at $2. That’s pretty good considering the first planner I bought was $21 and change. I appreciate your feedback, and you’re certainly entitled to your opinion! Kayla, I just want to tell you how much I’m loving my planner. I put the file on a thumb drive and took it to Office depot. They were able to customize the cover to be color and on a sturdier paper. We printed the rest in black and white. We added a clear plastic cover and a black plastic back. they bound the entire thing. I spent under $20 including tabs that I still need to add. While waiting for them to print it out, I walked around and looked at the planners they sell. Horrible, they have nothing close to this and the prices were close to what I ended up paying for something that WILL WORK well for me as a blogger. Using my planner is helping me to stay on task, remember things I need to do as well as future ideas. Thank you so much for GIVING us all your hard work for free and I can’t wait to get next year’s planner. Thanks so much Joan – I’m so glad you like it. I’m already brainstorming different things to do with next year’s planner. I’m thinking a monthly finance area, and maybe more social media options like G+ ? I can’t wait to work on it!! I am BEYOND thrilled with my planner. It’s even more amazing than I had imagined. It cost me about $15 to print and get bound. I got nice printer paper for $15 but only used 1/3 of it so I subtracted that from the cost and $5 for clear front and back protector covers and the spiral binding. I printed at home and it really didn’t take much ink at all, and mine is in color. I still need to add the month tabs, but even with that cost having a planner this detailed and organized specifically for blogging is amazing. I was considering an 18 month one, personalized, for $50. Now this one is a fraction of that cost and even 3 years of this one would be the cost of two of those other ones. So basically this is a hint for you to make one again at the end of this year for 2014!! 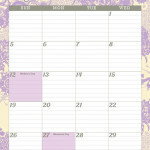 I will have my post up about the planner on my blog soon and I will let you know. Thank you thank you thank you again! And as far as having to log on to FB to get it the amount of work you put into this and the quality you could easily charge for it on your site or an etsy shop so having your form of payment be a fb page “like” that is nothing compared to the work you put into this. I would like your page 10 times over if I could. This is great! I really need this. Thanks so much for sharing it with us all for FREE! Love that! So I totally need to get organized and you’re inspiring me! Thank you for posting this and putting forth the hard work. You deserve a gold star… and some cupcakes! Meghan @ The Tasty Fork recently posted..Very Berry Oatmeal Muffins and Valentine’s Day Themed Giveaway! Beautiful! And PERFECT for my needs! I love it when tech/org stuff is girly. Thank you! I shared with all my friends! I totally understand you confusion, you’re not the first person who asked! It IS Saturday and Sunday. I like to track the Sunday prior until the Saturday of that week. That way, I can see the progress made through that week in the quick overview. Maybe its not the best idea though- how would you like to see it done? Aysha recently posted..[Recipe] EASIEST cookies ever… The Indian Nan khatai! Thank you, thank you, thank you! For work I purchased a planner with a large notes section in prior years, and kept my meeting notes in with my calendar. This year, much to my dismay, the company I’ve used didn’t make that one any more… I’ve spent the first few weeks of January searching for a new planner that would work for me. Yours is perfect! I LOVE your layout and your designs on this planner. I can’t believe you’re sharing it for free. Thank you so much! Thank you, thank you. I have been feeling so overwhelmed…I’m still i newbie and having trouble getting everything learned and then trying to organize it has been a bit of a nightmare. I’m hoping this pulls me out of my chaos and into productivity. 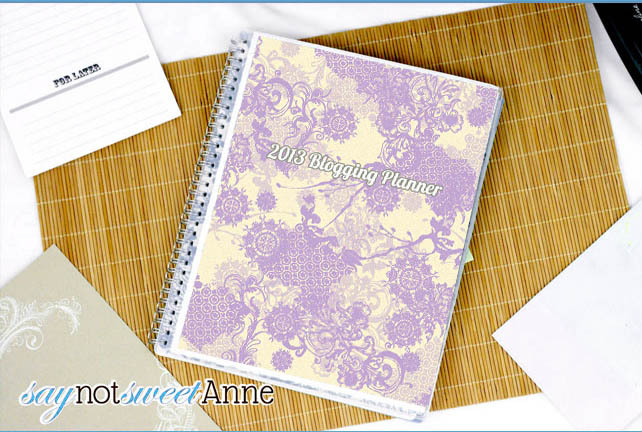 Thank you so much for your Blog Planner! 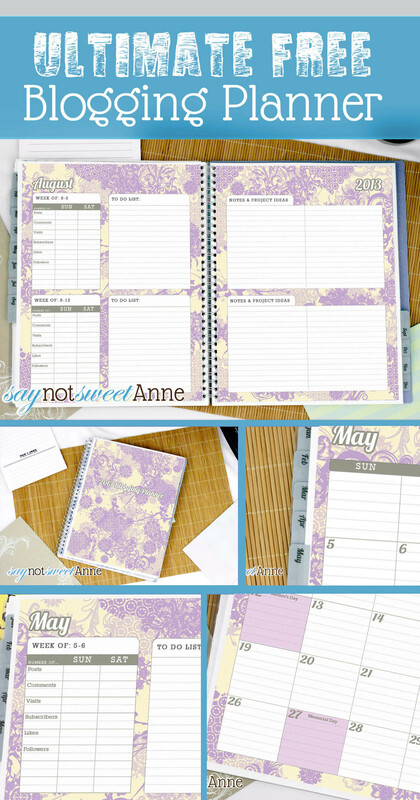 Your planner is so beautiful and how sweet of you to offer it for free to all of us! 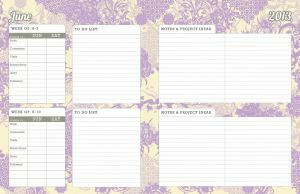 I am a new blogger and I have been searching for a planner that would help me get organized. Thank you for having it available in purple also, this is so me! Thank you! Thank you! I cannot wait to get this printed out and ready to use! I’ve been using my current home office planner to track my blogging to get organized, but it’s getting a bit cramped and I’m running out of space! You have quite a talent! I am really new to blogging and getting organized is not so easy, esp. the passwords. Your organizer is so beautiful. Thanks so much. I had paid $30 for another one that I don’t like as much. I will definitely keep your talents in mind for the future. I’m so glad you like it! Check back in 2014!! 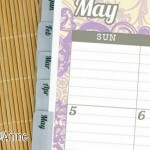 Pingback: Homeschool Mosaics Review: Free Blog Planner | Educate. Renovate. Celebrate. I have found my way over via Skip To My Lou via Stacy Molter! LOL! Thank you so very much for sharing your time and your talent with me. I, too, am a Graphic Designer so I know how much time and work went into putting this together from conception to your exquisitely detailed final touches. You are most kind and generous to give so freely. You’ve done the hardest part! Printing and binding will be a breeze once I’ve decided on how I wish to do it. I’ve been looking at buying a We R Memory Keepers Cinch Binding Machine for various projects. Are you familiar with it by chance? If so, what are your thoughts on the type of binding it offers versus what you have recommended? Thank you again and may you have a most incredible blogging year!!! Linda Walton aka bobbysgirlforever recently posted..scrappers give thanks! From what I can tell online the Cinch uses a double loop or wire-o binding which is exactly what I recommend. Actually, my copy shop didn’t offer this, so I just had them punch the holes, and then I bought a Cinch binding (no machine) and hand crimped it together. I’d be so jealous if you got the binder! Good luck on your switch over and don’t be a stranger! I absolutely love this planner!!!! Such a great idea, and so cute, too – thank you for all the time and effort you put into it, and sharing it so freely with us other bloggers 🙂 I was looking at the custom ones you said you had on your Etsy shop, but that link doesn’t go to any custom binders. Are they sold out? Goodness! It did sell out! 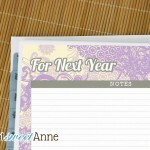 I’ll work to get that back up this weekend- check back- I LOVE doing the custom planners! I love your blog planner! I searched for the perfect planner for ages, but I could never find any that had everything I wanted– until yours! I printed it out and started using it this week, and I feel better organized already. I’m so glad you like it, and thanks for sharing it with your readers! I’ve already made some improvements for next year. Like a whole year calendar etc. So stop in around the new year!! Hi, why can’t I find an easy way to share this on Twitter, Facebook, and Pinterest? I want to; it’s fabulous! Hey Dagmar! I’m so glad you liked it! I saw your tweet (Thank a bunch!) So I guess you found a way!!! Thank you so very much for sharing these pages! I have only recently started blogging and have a lot of ideas. With your pages, I will be able to keep track of what I want to post and when!!! Woohoo! Howdy from Grand Rapids! I’m so glad you like the planner!! Check back next year for a new one! hey 🙂 are you gonna make one for 2014 ? + i really need this since my ideas and projects for my blog get kinda messed up ! You bet I am!!! Check back soon, I hope to have it up early so you have time to get it ready and use it as a New Year’s Resolution!! Absolutely brilliant. A ‘must have’ for every blogger in my opinion. Thank you for sharing…. Well aren’t you just a gem! Your name rocks and you are from the greatest state ever! I grew up in Pinconning, MI. I love this printable and will be using it NOW! I am getting too big (a good problem to have) to just keep notes stashed all over. My goal is to start getting paid to blog and I hope my blog will be as useful and beautiful as yours! I hope you love the planner!! Hi do you have this for 2014? Hi do you have this for 2014? It’s beautiful! 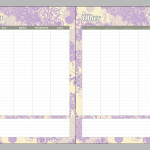 At the top of this post there is box that says “Now that 2013 is dwindling, the downloadable planner has been replaced with the 2014 Modular Printable Planner.” With a link to the 2014 version. Hope that helps!! This is so awesome, and such a great idea! really nice planner..we are including it to our post.